Braun Büffel Mother's Day VOTE & WIN Giveaway ! 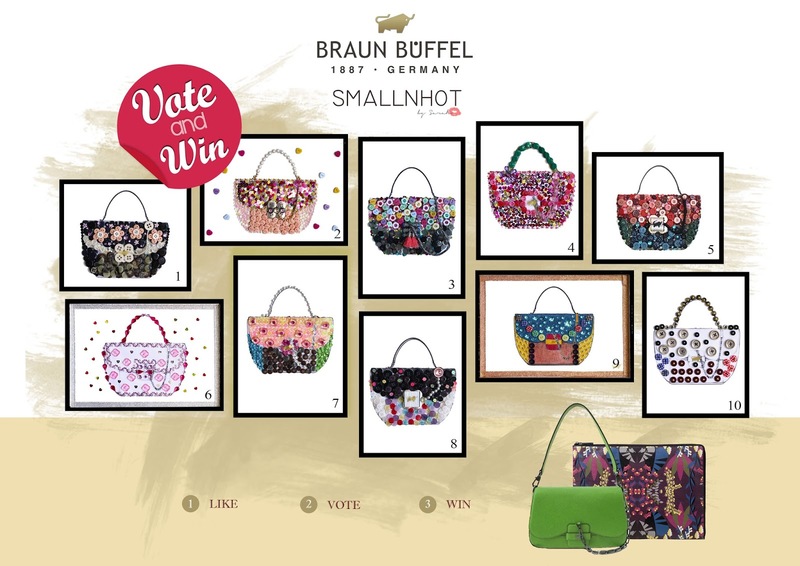 In conjunction with Mother's Day, Small N Hot has collaborated with Braun Büffel to giveaway amazing Braun Büffel merchandise, worth up to RM 4,000, which includes a Frida-31 Shoulder Bag and a Document Holder. 10 bloggers were selected to design and decorate the Braun Büffel signature Frida-11 Top Handle Bag for their mother. And one Design the with most votes will win a Frida Bag a frida bag as gift this Mothers day. Also ONE lucky voter will walk away with a Braun Büffel bag too. Click HERE and VOTE for your favourite Frida-11 Top Handle Bag Design In The Photo. ONE winner with the most votes & points for their bag design will walk away with the Frida-31 Shoulder Bag for their mother. Also ONE lucky voter will walk away with Braun Büffel merchandise too ! 1. Giveaway starts from 16 April 2017 - 26 April 2017 (11:59pm). 2. This is an giveaway, open to all readers. 3. ONE  winner with the highest points for their bag design will walk away with the Braun Büffel Frida-31 Shoulder Bag. 4. ONE  lucky voter will be selected via Random.org and he/she will win a Braun Büffel Document Holder. 5. Winner will be notified via Facebook Personal Message (PM) and has to reply it within 24 hours, else prize will be revoked. 6. Prize will have to be collected during the Braun Büffel Mother's Day Party on 3rd May 2017 in Braun Büffel outlet at The Gardens Mall. 8. Braun Büffel & Small N Hot reserve the right to substitute prize of equal or greater value at any time.